We’ve a beery few weeks in London right now. Last week was Craft Beer Rising, where I had a great time discussing the state of the industry with various of the excellent brewers there – more about that in what’s planned to be a series of future blog posts. Then next week is North London CAMRA’s London Drinker Beer Festival, and the week after that is DrinkUp.London’s London Beer Week*. The latter, which runs from Monday 13th ot Sunday 19th March, seems to have split up with Craft Beer Rising – last year CBR was the anchor event for LBW, but this year they’re separate events. Oh, and earlier in February was the trade show Pub17 which I didn’t get to this year, but by all accounts it’s developing more and more of a craft beer flavour. London Drinker is going to be interesting this year, as for the first time it will feature only London real ales – the last couple of years it’s had a London bar, but at least half the beers were from elsewhere in the country. 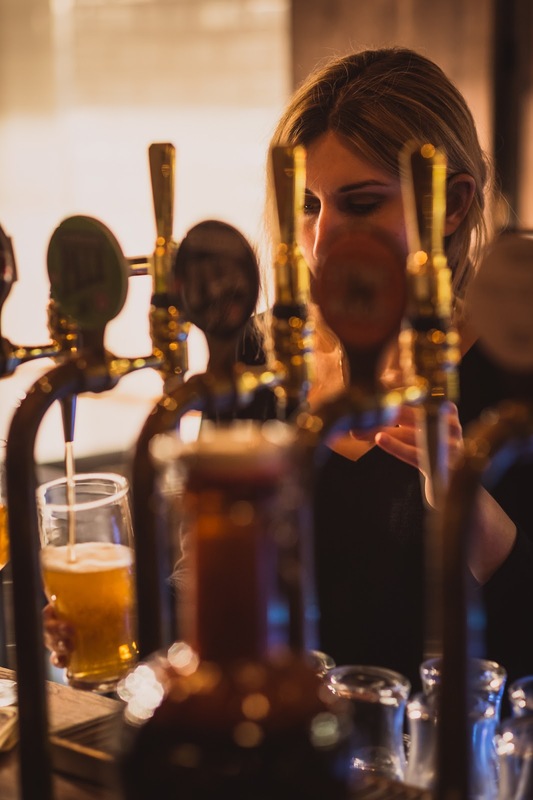 Now, with almost 100 breweries active in the capital it can showcase the best beer it has to offer, whether in cask, keg, bottle or potentially can. There is even going to be a Champion Beer of London competition. Meanwhile, London Beer Week has moved this year from Brick Lane’s Old Truman Brewery (where Craft Beer Rising has just taken place) to Hackney’s Oval Space (the venue for last year’s London Craft Beer Festival, but that’s moving to Shoreditch this year). As well as brewery-run events, DrinkUp.London is running its own three-day festival at Oval Space, called the Beer Edit. Confused yet? I’m looking forward to the Beer Edit, albeit with some guarded scepticism! That’s because there’s no beer list for it yet that I’ve seen, just mentions of some of the “brands” taking part – and so far they’re all big ones from outside London, but then this is a week of beer in London, not necessarily of London. Sharp’s and Guinness are headlining again, both of them put on a good show last year and look set to repeat that this year. Sharp’s will again have a full range of beers including a couple of specials, plus a beer and food matching experience, while Guinness will once more feature unusual beers from its Open Gate Brewery, which is the former pilot brewery at Dublin’s St James’ Gate now operating as an experimental craft brewpub. Beyond that we’re promised Czech Staropramen (a MolsonCoors brand, like Sharp’s) and Pabst Blue Ribbon, which is an American lager that was for a while ‘ironically cool’. Some of the other London Beer Week events look both more local and rather excellent. For example, the rickshaw beer tours which take you to three different London breweries or taprooms, with a beer at each. They’re sponsored by Jameson’s, which is promoting its whiskey aged in stout barrels (if I remember rightly, this is Franciscan Well Shandon Stout – the brewery then takes Jameson whiskey barrels and ages beer in them! ), so they’re only £10 per person. There’s also a Courage-themed walking tour which visits both the site of the legendary brewery near Tower Bridge, and the new Southwark Brewery which is producing special Courage SE1 cask ales. And there’s a bunch of bars doing LBW specials such as beer cocktails – see the Beer Week website for details. 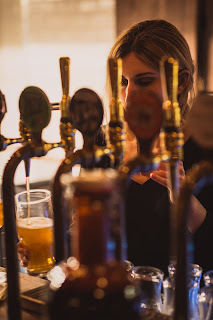 All in all it’s a great time for beer in London, as befits what was once – and may yet be again – the greatest brewing city in the world. Have fun! *not to be confused with London Beer City week in August, which is when London Craft Beer Festival and the Great British Beer Festival take place.